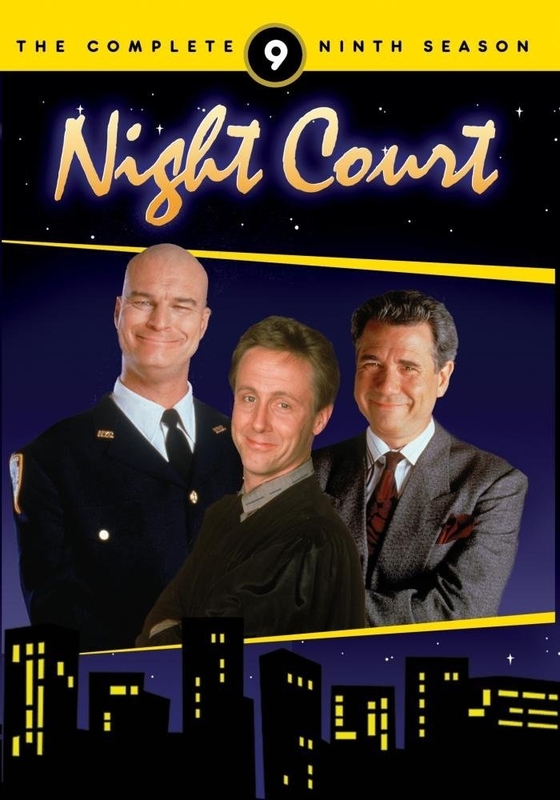 Night Court’s ninth and final season sees Judge Harry(HARRY ANDERSON) and company rethinking careers and companions, while Bull (RICHARD MOLL) stumbles through the wedding china on his way to matrimonial bliss. It’s a good thing Bull has Harry, Mac (CHARLES ROBINSON), Roz (MARSHA WARFIELD) , Christine (MARKIE POST) and even Dan (JOHN LARROQUETTE) on hand to get him to the altar on time. While Harry considers a career in higher education, Christine takes a look at Congress as Dan rethinks his commitment to his primary field of interest (it’s spelled S-E-X). Meanwhile ditzy-but-stunning court steno Lisette (JOLEEN LUTZ) is harboring a secret of her own, one that concerns a prominent member of the cast. And what on Earth do aliens want with Bull? Mel Torme, Gilbert Gottfried, and Stephen Root are all found among the season’s memorable guest-stars. But as the final hour airs – and the cast depart for different climes, whither Judge Harry? A 3-Disc, 22-Episode Collection. All I can add to all the other comments about these 9 seasons of Night Court, is, to say thanks for all the laughs they created. Too bad, that shows like this one, are not produced anymore. Having said that, it is about time for me to watch the show again, starting with Season one. Just thinking about it makes me snicker already.